WeWork’s purchase of the Lord & Taylor Fifth Avenue property affirms the value of prime Manhattan real estate. Lord & Taylor’s former New York City flagship building at 424 Fifth Ave.
NEW YORK CITY—WeWork closed on its acquisition of Lord & Taylor’s once grand flagship store at 424 Fifth Ave. from Hudson’s Bay Company for a total transaction value of $850 million. The deal was first announced in October 2017. Although initially Lord & Taylor was going to keep a smaller version of the store, the retailer subsequently decided to shut down at the location to focus efforts on online operations which included being featured on walmart.com. 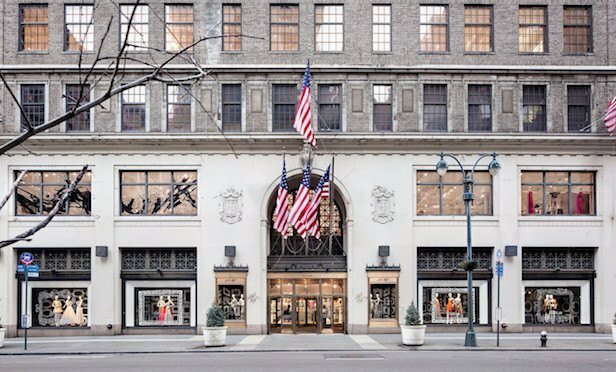 Lord & Taylor closed the doors of its Fifth Avenue store to the public on Jan. 2, 2019.